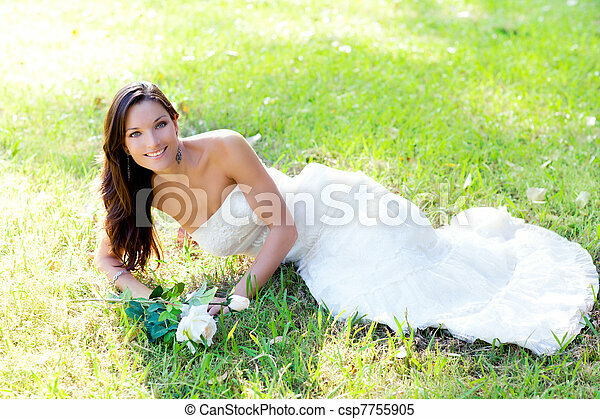 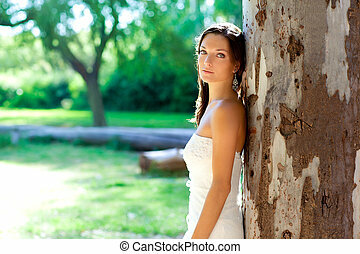 Bride woman lying in park grass with white rose. 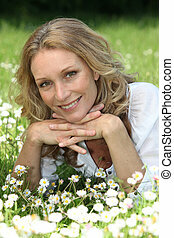 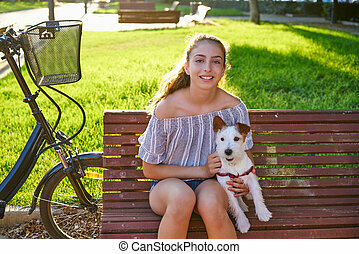 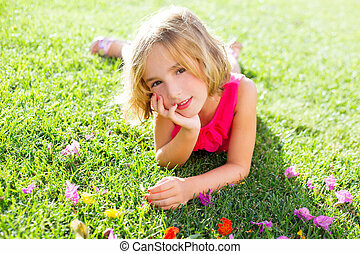 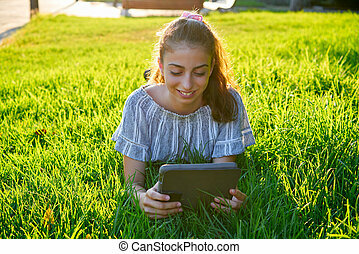 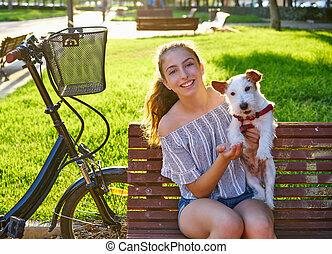 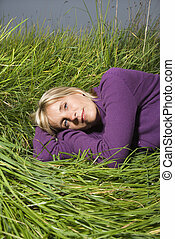 Middle-aged Caucasian woman lying in grass. 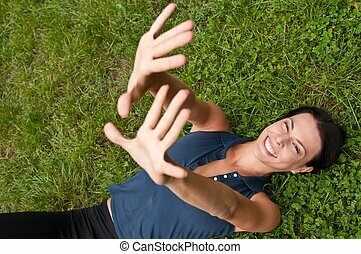 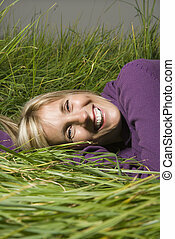 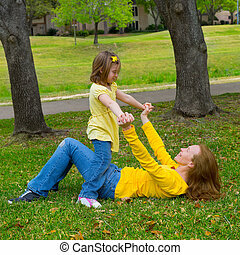 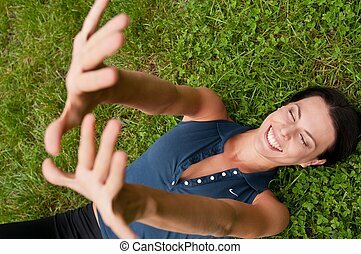 Middle-aged Caucasian woman lying in grass laughing. 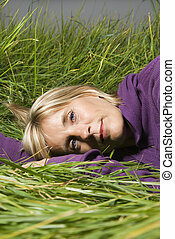 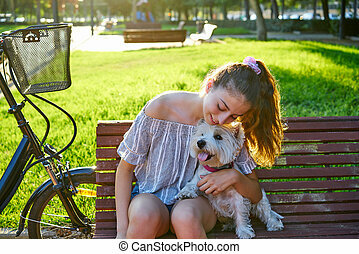 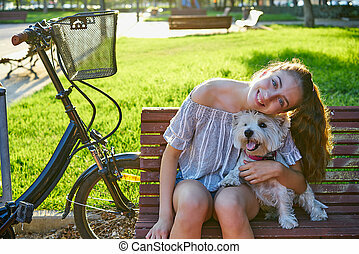 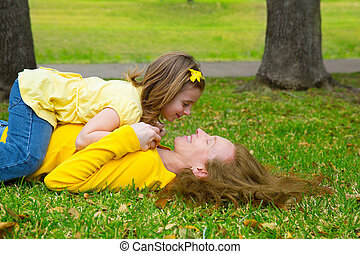 Middle-aged Caucasian woman lying on side in grass.